For 2000, we had 6 participants, from Mexico, Peru, Indonesia, and Marianas Islands. 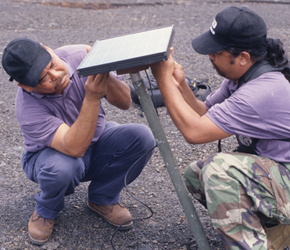 Tom Crisostomo and Joseph Kaipat (Marianas Islands) prepare the solar panel for a seismic telemetry station. 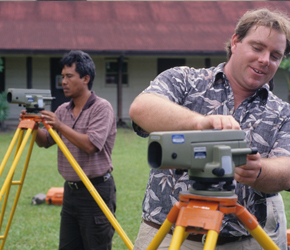 CSAV instructor David Phillips adjusts a NAK-2 leveling gun while Isa Nurnusanto (Indonesia) levels a tribrach. 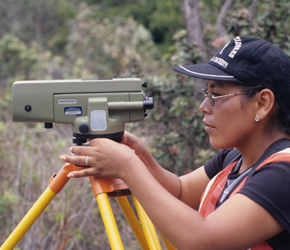 Luchy Perez (Mexico) takes a reading with the NAK-2 leveling gun near Mauna Ulu. 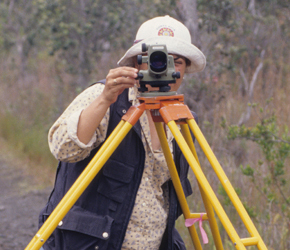 Vincentina Pauccara (Peru) adjusts the tribrach before taking a measurement. 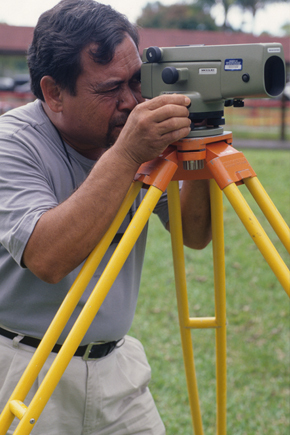 On the lawn of UH Hilo, Tom Crisostomo (Marianas) practices surveying. 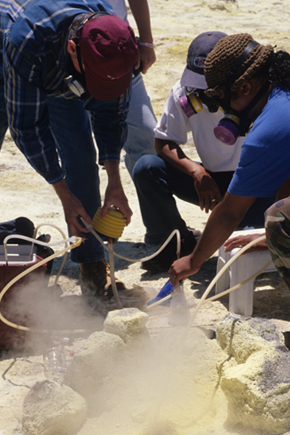 The CSAV International group learns how to collect a volcanic gas sample.